Detective Sherlock Holmes has a mysterious new case to investigate when summoned to a nunnery deep in the English countryside. Holmes and his companion Dr Watson join the search for the most elusive piece of treasure known to mankind. 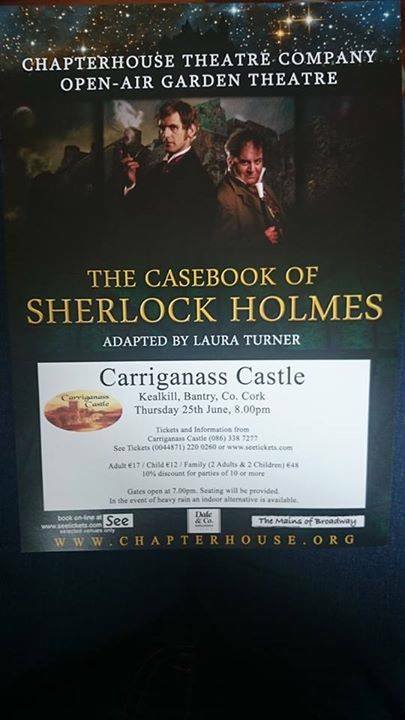 With a missing novice, a death in the convent and some very suspicious nuns, Holmes’ newest case promises to be his most terrifying and challenging yet! 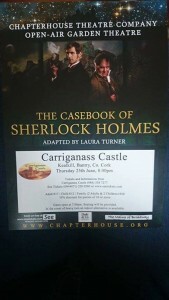 See the play at Carriganass Caslte on Thursday 25th June 2015 at 8pm. Tickets can be reserved on 086 338 7277.